Page up, page down. Back, exit, cancel. Create new item. Add to favorites. Create filter. Whew! 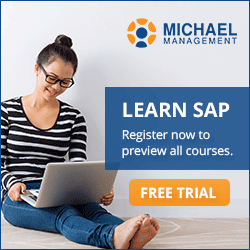 There's lots to know in SAP. Take a moment and print out this great cheat sheet and keep it handy while you are taking your courses. Here's a quick tip: Wildcard search. The asterisk (*) can be positioned at the beginning, middle, or end of key words. 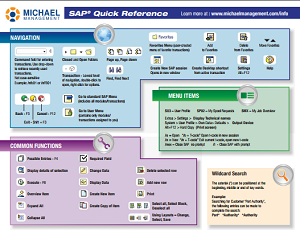 More infographics: SAP Cheat Sheet for Materials Management (MM).